Fire Emblem Heroes is a successful money sink/mobile video game for Nintendo. It’s not available as an official board game, though, which is where fan Brother Ming decided to step in. Some of the Hero cards available to players. 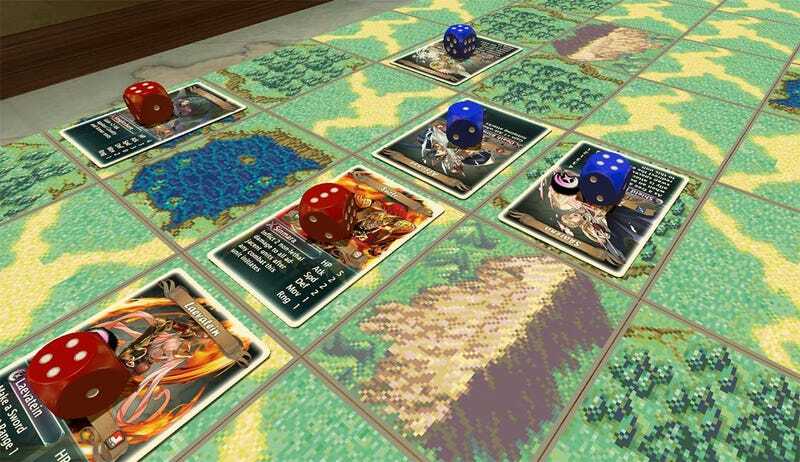 The game involves dealing ten cards to each player, who deploy their heroes simultaneously, take turns moving them across the terrain board and doing battle until one player gains 20 points, at which point they’re the winner. Brother Ming says the average game takes only 15 minutes or so to complete. Ming hasn’t just made the game for himself. He’s made his files available here to download and print so anyone can try it out. There are even files to print out a lovely box if you then need something to keep everything in. The custom box, that you can also print out.